Kevin Hart proved to be a friendly ex-husband as he presented his ex wife and mother of their two children Torrei Hart with a Cadillac Escalade. 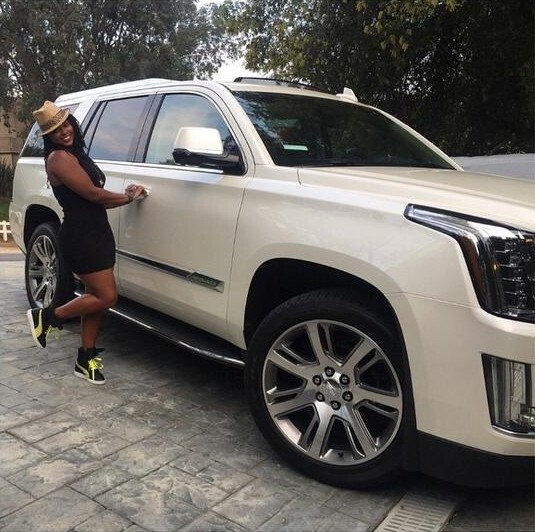 The “Atlanta Exes” star, 37, shared an Instagram snap on Wednesday showing herself with the cream-coloured 2015 luxury SUV. The mother of two recently celebrated her birthday on February 28 and 35-year-old Kevin let her pick any vehicle she wanted to mark the milestone. Back in January, Kevin revealed that Torrei extended the olive branch to him and his fiancée, Eniko Parish, which seemed to be the first step on the blended family’s path to healing. Kevin and Torrei were married in 2003 and their divorce was finalised in November 2011. They had 10-year-old daughter Heaven and seven-year-old son Hendrix together. Kevin since last August has been engaged to 30-year-old model Eniko Parrish. Torrei also has moved on and has been dating her manager Reno Rank.